Do you want to keep your Audi in top condition? It’s very important that you find yourself a service center that can look after your prized car in a way that maintains the value of your investment. According to statistics, in 2014, 182,000 Audi vehicles were delivered to customers throughout the United States, with the number having grown in 2017. This may seem like a daunting task, with many options available and factors to consider. Not to worry though. Finding the right repair center for your Audi can be simplified by reading the seven tips listed below. Do They Have Audi Factory Trained Technicians? Do you want your car to be serviced by someone who has barely touched an Audi before in their life? Of course not. If you want your Audi to be in safe hands, you need to trust a repair facility in Denver that has Audi factory trained technicians. These professionals have spent years working on Audi cars and have undertaken extensive training and certification. They know exactly what they are doing when they pop the hood on one of the most technologically advanced vehicles on the planet. Since their expertise focuses on Audi vehicles, they have the ability to diagnose your car with the utmost care and figure out any issues with a high degree of accuracy. Do They Provide You with Complete Audi Support? 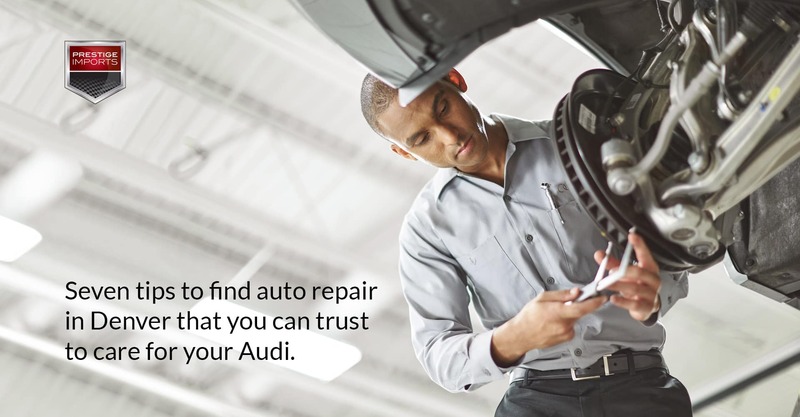 When it comes to making decisions about issues with your Audi vehicle, you need to seek out auto repair in Denver where the technicians and service advisors have the full support of Audi of America . This includes having access to approved equipment and real-time technical support from the manufacturer. When you get your Audi vehicle serviced, you want to make sure it is done correctly. Poorly maintained or out dated equipment can potentially do more damage to your car than good. The advantage of factory approved equipment is that it has been tested and proven to correctly diagnose your Audi, thus it will be able to identify problems exactly where they are occurring. This saves you both time and frustration in the diagnosis process. At an Audi certified repair facility, technicians have a direct link to the manufacturer. This ensures that they receive the support they need at the moment they need it. This real-time manufacturer support, on top of the service you receive from the certified technicians and service advisors, means your Audi has two highly skilled teams looking out for it. Do They Have an Onsite Parts Department? Along with highly expert technicians, Audi certified auto repair in Denver will also have parts experts. These parts experts will assist technicians in diagnosing your car and providing them with high-quality Audi approved parts for your vehicle. Not only will you have the expertise of these parts technicians, but you will also have a huge selection of guaranteed factory OEM parts available at a moment’s notice. Do They Provide You with a “One-Stop Shop” Experience? It can be frustrating if a local repair service makes you drive to several places in order to get your car repaired. When you come to an Audi certified auto repair center in Denver, expect to have all of your car’s needs met in just one location. What are these needs exactly? One of the main aspects of a good quality service strategy is routine maintenance checks. Factory certified technicians will inspect your car and perform routine procedures to maintain its performance. If you have any questions or concerns, your Audi certified service advisor will be more than happy to address them as they come up. Is your Audi making strange noises or having trouble starting? By bringing your Audi to a certified repair facility, you can expect industry professionals to help figure out what the issue could be. They won’t just guess. These highly trained technicians will diagnose any problems with your vehicle and will be able to effectively communicate those issues so you will be able to make an informed decision about your vehicle repair. In addition to standard repairs and maintenance, it is very important to have access to an Audi Certified Collision Center. Just like with internal repairs, body work on Audi vehicles is a specialized task that requires specific equipment and training. When making a decision about auto repair in Denver, be sure to inquire about the availability of an Audi certified body shop. An Audi certified service advisor or parts representative will be able to help you pick out new tires, or wheel and tire package, that will meet manufacturer specifications. Also, they will be able to get those new tires installed and get you back on the road as soon as possible. It would be great if you could have your vehicle completely detailed while it was in for routine service or repair. At an Audi certified repair facility, this is no problem at all. Exterior details, interior details, complete vehicle details, and even window tinting and clear masks are all on the menu. Simply make arrangements with your service advisor when you schedule your appointment. Getting your Audi serviced shouldn’t be a big, complicated mess. With high quality auto repair in Denver, you should be able to get your car serviced no matter where you are or what your situation may be. The right Audi service center should provide you with a centralized location that you can reach easily. Whether you live in the Denver metro area or up in the mountains, the auto repair center should not be far away from you. You may be thinking that this is all well and good, but what happens if you don’t have the time to drive your car in? Then the services below could come in very handy. If you have to drop your car off, you should expect that an Audi certified repair facility will offer you a courtesy vehicle. And here at Prestige Imports, that courtesy vehicle will be an Audi. This is the perfect option to choose if your car needs a long service or repair and you have places to go. Another option to look for is a shuttle service. This helpful service will take you back to your home of office while your car is being repaired. This convenient option works well for shorter services, like scheduled maintenance. Here at Prestige Imports, we are unique in offering a valet service. If you’ve got places to be and things to do, this valet service will come to your home or workplace and pick up your car for you. 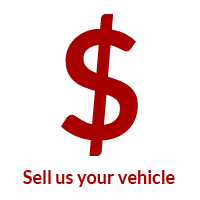 They will take it to the shop for necessary repairs before returning your vehicle to you. Our friendly valet drivers are bonded and insured, and the best part is that this can be done for any sort of maintenance work or repair, regardless of the warranty status of your vehicle. There is a nominal fee for the valet service, but it’s a small price to pay for this level service. Do They Offer You Amenities When You Visit? When finding an auto repair service in Denver, you want one that provides plenty of amenities to keep you comfortable while you wait for your Audi to be serviced or repaired. There’s nothing worse than waiting in a tiny, stuffy office. An Audi certified repair facility will offer you a comfy waiting area where you can relax. They will even provide you with snacks and beverages. As part of the amenities, there should be complimentary Wi-Fi offered as well. What better way to finish off your service than with a free car wash? If the weather permits, a certified repair facility will provide a complimentary car wash.
Are They Professional and Trustworthy? The perfect Audi certified repair center in Denver is one with a high degree of professionalism and that takes pride in their customer service. The easiest way to check for the level of service provided by an auto repair center is by reading their reviews. But there are other alternatives. Read below to find out more. Websites like Google Maps, DealerRater, and Cars.com will provide you with honest reviews that can tell you the good and bad points of nearly every auto repair shop in Denver. It can help you decide which service is best for you! 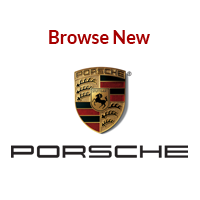 Word of mouth is a great way to find the right Audi service center in Denver. Audi driving friends and family have likely had both good and bad experiences with repair shops in the area and they can offer you some of the best advice. Another great way to find quality auto repair in Denver is by perusing the website of your local shop. A high quality facility will likely offer up a variety of informative pages that will be of interest to you, including their service offerings, their business hours and information about Audi service in general. 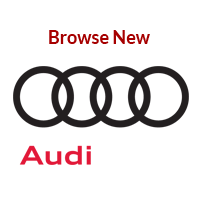 It’s an easy way to do a bit of snooping so you can decide if you want to send your Audi into their care! Wrapping up: Find the Auto Repair in Denver That’s Right for You! There are many places that will work on your car, but there are far fewer where you will truly receive quality auto repair in Denver. And when it comes to finding the certified Audi repair facility that’s right for you, you needn’t look any further. 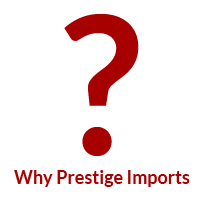 As the original Audi dealer in Denver, Prestige Imports has been the go-to destination for Audi repair for decades, and we intend to keep it that way for decades to come. To schedule an Audi service appointment, CLICK HERE.